In the car wash business, bright lights, good lighting is vital in order to carry out the work captiously. All lighting fixtures to be used in and around the car wash must have waterproof properties. Customers may think that the car wash is closed in case of insufficient lighting. Having a good lighting in car wash tells the customers car wash is open and active. Good lighting is required to attract customers, to see the dirt inside and outside the vehicle, and to carry out the cleaning process in a healthy way. For car wash areas, 500 lux light level is recommended. Lighting fixtures in car wash areas are heavily exposed to water, dust, and moisture. If water, foam or dirt enters the lighting fixture, it will significantly reduce the product life. In these areas, the ambient temperature is also high. So, the lighting fixtures to be used must have minimum IP65 protection class or preferably IP66 protection class. It should be designed in a structure that will not be affected by temperature changes. IP64 protection class is not sufficient for lighting fixtures. Because this protection class is only providing protection against splash water. It cannot provide enough protection against high-pressure water being sprayed from water guns. Lighting elements used in car wash must be resistant to high pressure, easy to clean, and high color rendering index (CRI) value. The high color rendering index (preferably greater than 90) will make the vehicles look closer to their true colors. Etange lighting, high ceiling lightings, low ceiling lighting, and flood lights are used for lighting in car wash areas. In the car washing stations, there are other things besides washing. These are; wax polish, scratch remover, paint protection, ceramic coating and so on… All these things require bright and accurate lighting. 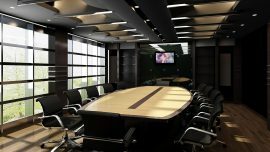 Good lighting will improve your corporate image and help you attract customers. Also, your customer who sees his vehicle under bright lights after washing will happily leave your station. In order to save energy, brightness can be reduced in lighting fixtures by the light level control when these areas are not used. Alternatively, lighting fixtures can be grouped into a simple motion sensor to activate all of them at the time of use.